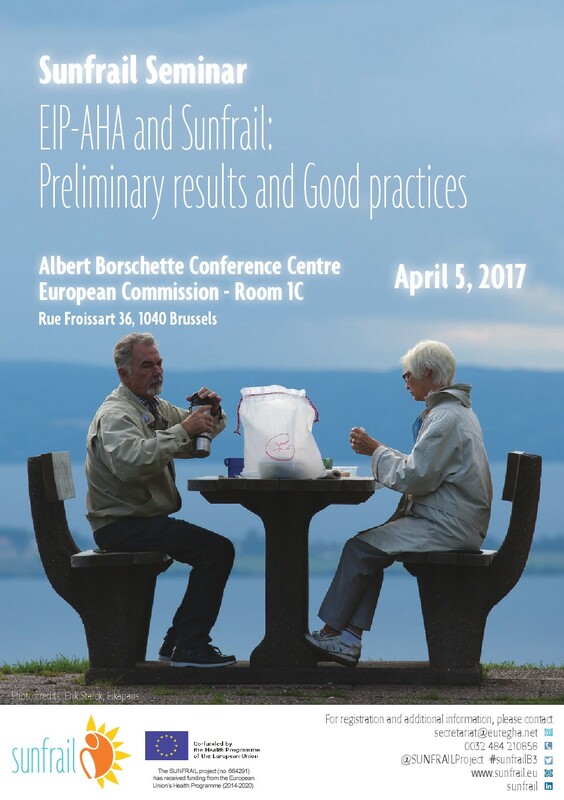 The SUNFRAIL project team is delighted to invite you to a SUNFRAIL seminar in European Commission premises on 5 April to share with you the preliminary results achieved throughout the first two years of the project. 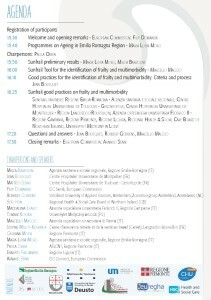 The content of this seminar is of high relevance to ageing societies across Europe. Population ageing is accelerating from 461 million people older than 65 years in 2004 to an estimated 2 billion people by 2050, which has profound implications for the planning and delivery of health and social care. Two of the most problematic expressions of population ageing are the conditions of frailty and multimorbidity. 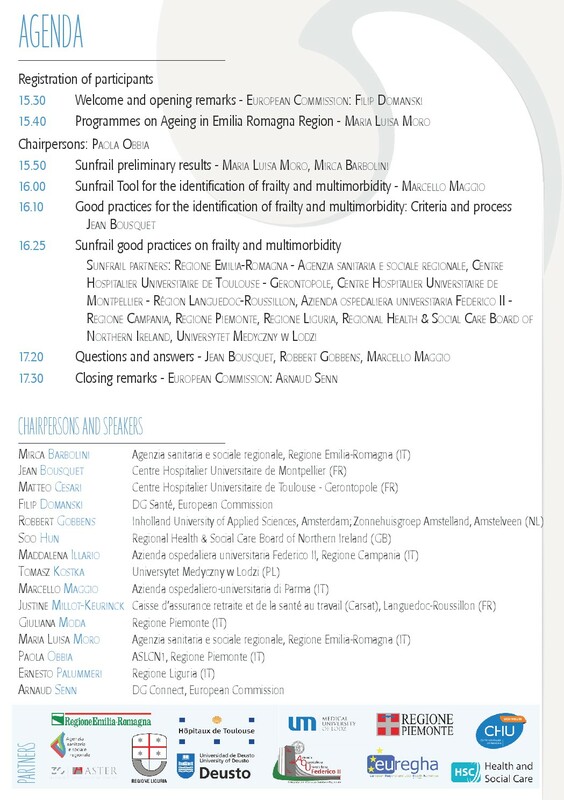 The event will present the opportunity to learn about SUNFRAIL Tool for early identification of frailty and multimorbidity that has been designed by a multidisciplinary team of experts, as well as to hear about good practices collected by project partners. The agenda for the event can be found below. Other project outputs can be accessed here.